Visually, these protests will feature pairs of shoes collected and displayed to symbolize missing relatives, friends, and loved ones because of these immigration policies. Under President Trump, immigration arrests of people with no criminal record have more than doubled. With the healthcare battle temporarily over, Congress will be turning its attention to the federal budget after recess. The current federal fiscal year ends at the end of September, and in addition the debt ceiling must be raised by mid-October. 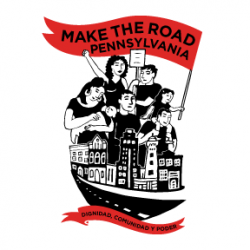 Immigration enforcement promises to be a contentious component of that budget, and networks like #paresist and the Fair Immigration Reform Movement have called for no additional spending on deportation.